Owned by RT Network, the channel launched in 2005 now has the siblings broadcasting in English, Arabic and Spanish with RT America straight away from Washington, DC studio, RT UK having its broadcasts from London and last but not least, RTDoc – a channel with Russian & English documentaries. 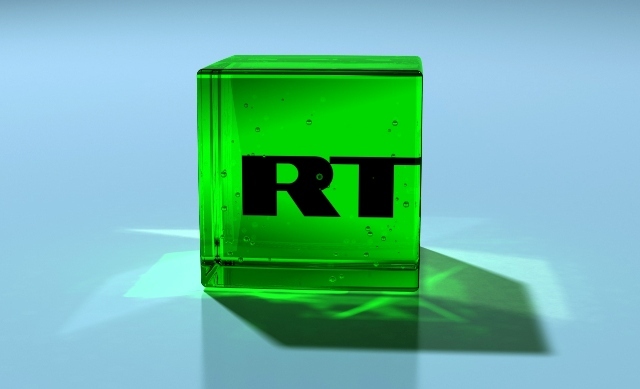 Russia Today is today has its audience in more than 100 countries with a viewership of 700 million people. The channel covers the stories and delivers the content with an Edge to the Russian and global audiences. The 24×7 rolling news channel is a state funded satellite television news channel mainly catering the non-Russian audiences provides round the clock news bulletins, debates, discussion forums, documentaries, talk shows, sport shows, cultural programming and the rest on the planet that falls in News. The multilingual News service shortly after its launch had the ownership of the channels like Rusiya Al-Yaum (Arabic sister), RT Actualidad, RT America and RT UK with all focusing on the respective territories. RIA Novosti which was formerly (until 2013) a Federal State Unitary Enterprise, now under the dealing of Ministry of Communications and Mass Media; has the ownership of the channel. Headquartered in Moscow RIA Novosti was liquidated in 2013 followed by the creation of Rossiya Segodnya, under the order of the President Vladimir Putin at the end of the year. RT was founded with an aim to see the world with a Russian Perspective. However the channel is often accused of partiality and greatly exaggerating and misinforming the global audiences on the Russian perspective and Western Narrative. Widely seen as an opposition to particularly America, and generally the West, (European Alliance) the channel has consistently maintained its strong stance against the strategic, economic, ideological and political rivals. The Russian viewpoints and the interests of its allies are always strictly followed, advocated and monitored by the administration of the channel. Acquainting International audience with the concerns and significance of the policies of Kremlin and their impact on the global peace is taken with great concern. RT was the winner of Monte Carlo TV Festival Award in the category of 24 hour newscast in the lights of the news break and reporting of Chelyabinsk meteor crash. The year 2010 brought the Emmy award for the first time on the Russian soil in the category of News. The RT was nominated 2nd and 3rd time for the Emmy in the year 2012 and 2014 for covering the Occupy Wall Street movement and the coverage given to the hunger strike set by Guantanamo detainees. The RT’s YouTube channel is the first channel reaching one billion views. A part from multi-media delivery of news RT launched its video agency “Free Video”. RUPTLY is another service introduced by the channel in2013 – a fee video agency located in Berlin providing the news from hotspots around the world. Watch RT channel Russia Live Streaming online. Watch the International Russian TV live. The Russian perspective in the current global scenario in high quality stream. Hear the voices from the other side!